The annual MCh (Orth) & BMSc Awards Ceremony was held on 29 May 2017 in the Gait Laboratory of the Institute of Motion Analysis and Research (IMAR) at the TORT Centre. Professor Rami Abboud, Head of the Department and Associate Dean for Learning & Teaching, welcomed students, teaching faculty, staff members, and other students enrolled on a variety of courses within the Department (MSc, MD, MPhil, PhD) to celebrate the successful completion of this year’s courses in Master of Orthopaedic Surgery (MCh Orth) and Intercalated BMSc in Applied Orthopaedic Technology. Traditionally at this annual event all attendees are asked to bring along a home-made dish from their countries of origin thus ensuring a diverse buffet is available for all. Particular highlights this year included Professor Abboud’s top-secret and self-developed recipe for lemon-cinnamon-chicken, which we understand takes several hours to make, and a well-fought out biryani competition between students and staff! Feasting was slightly different this year however due to the fact that the event was held during the Muslim holy month of Ramadan, when Muslims fast daily from dawn to sunset. To respect this holy time for several of the students food was not served up until 9:46pm when it was rather energetically and enthusiastically devoured. Left: the arrival of biryani #2; Centre: let the feast begin; Right: students from several different TORT Centre courses enjoyed the evening. 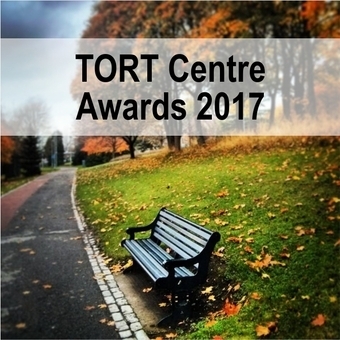 Once appetites were satisfied Professor Abboud gave a synopsis of the successes achieved at the TORT Centre during the past academic year and were reported under our NEWS section that is kept up to date thanks to the tireless efforts of Mr Ian Christie. It then came to the most important and rewarding part of the evening with the presentation of certificates and the handing out of this year’s prize awards. Professor Abboud also presented each MCh (Orth) student with a specially designed lapel button commemorating the course. All prize winners thoroughly deserved their awards and should be rightly proud of their success but praise should go to all students who made the awarding of certificates once again this year so very difficult for the board of examiners. Professor Abboud took a moment to also highlight the excellent work done by the small number of dedicated staff in the department, our NHS Tayside colleagues, the invaluable and immense external faculty, and especially that of the course administrator, Mrs Sheila MacDonald who makes the year run smoothly and who is like a mother figure to our overseas students. Left: Dr and Mrs Pritam Kumar Agrawal after receiving the highest award the TORT Centre has to offer, the Ian Smillie Award; Right: Professor Abboud presents Mrs Sheila MacDonald with a token of his appreciation for all she does for the MCh (Orth) course. Dr Shahid Latheef then gave a short speech praising the course, the staff and their time spent in Dundee, before presenting Professor Abboud with a gift of the MCh students’ gratitude. MCh (Orth) candidates presenting Professor Abboud with a new leather briefcase. No longer will Prof have to use his old but trusted ruck-sack! Left: Intercalated BMSc class photo 2016-2017; Right: MCh (Orth) class photo 2016-2017.